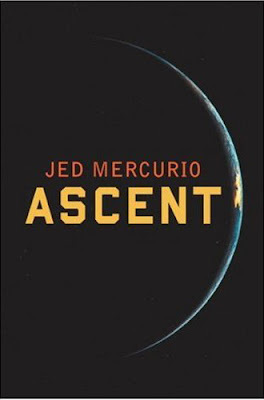 On top, the more subtle UK cover of a novel that poses the question "What if the Soviets sent a man to the moon before the Americans, and we never knew?" Below that, the US version, with far superior type and a really unnecessary hammer and sickle. The placement of it is *so* wrong. If you're going to force in a hammer & sickle, why not play with using the crescent of the planet as the sickle somehow? Clever idea – seems so much more obvious. I have to say, though, I think I prefer the sliver suggestion of earth in the former version. It has a subtler, more eerie quality that reads more as "what if…" But I do like that the type runs over the image in the latter case. I prefer the sliver more on the UK version. But, if one keeps the Soviet hammer & sickle then wouldn't it be better if it were the moon and not the Earth? I have to argue for the hammer & sickle. It might seem obvious, but to any uninitiated reader (and without a subhed), the U.K. design is too opaque and uninvolving from a marketing point of view. A crescent of moon: who cares? Next! However, a crescent of moon plus still ominous Soviet symbol? 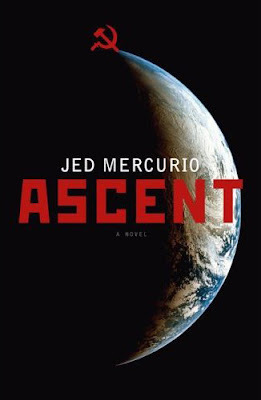 Suddenly the word "Ascent" becomes threatening to Westerners. Cheesier maybe, but intrigued beats uninvolved.